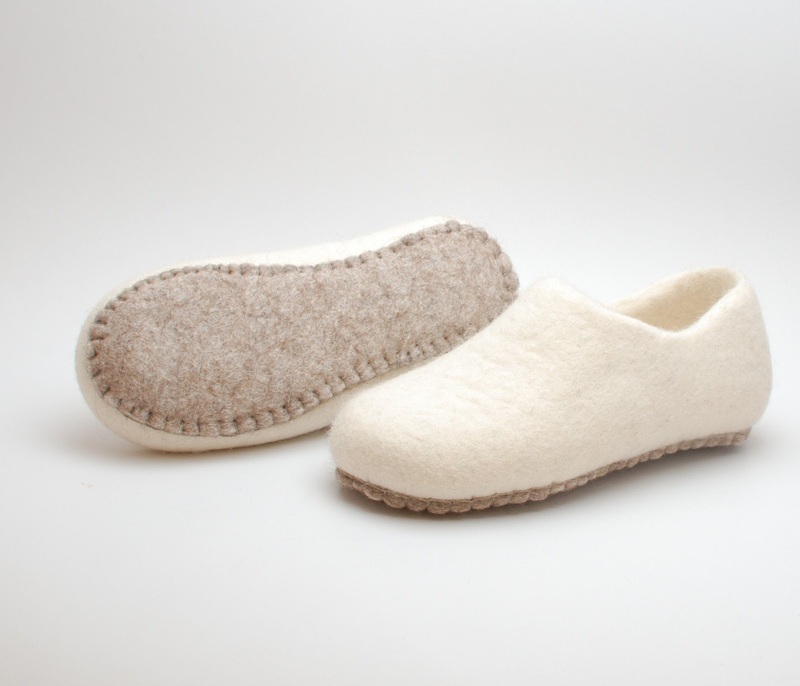 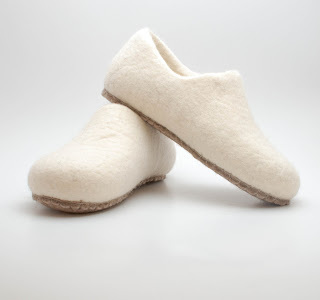 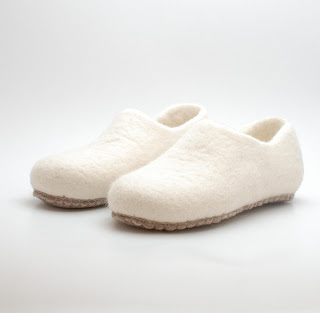 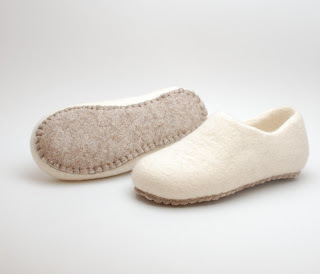 One more kind of a soles for felted footwear - felted soles. My customer asked for the clogs without any soles of rubber, because she has a chemical sensitive disorder. Thank you for this idea, Lisa! 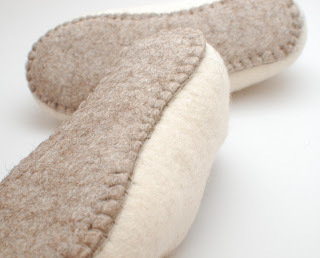 I like how slippers looks with these soles. 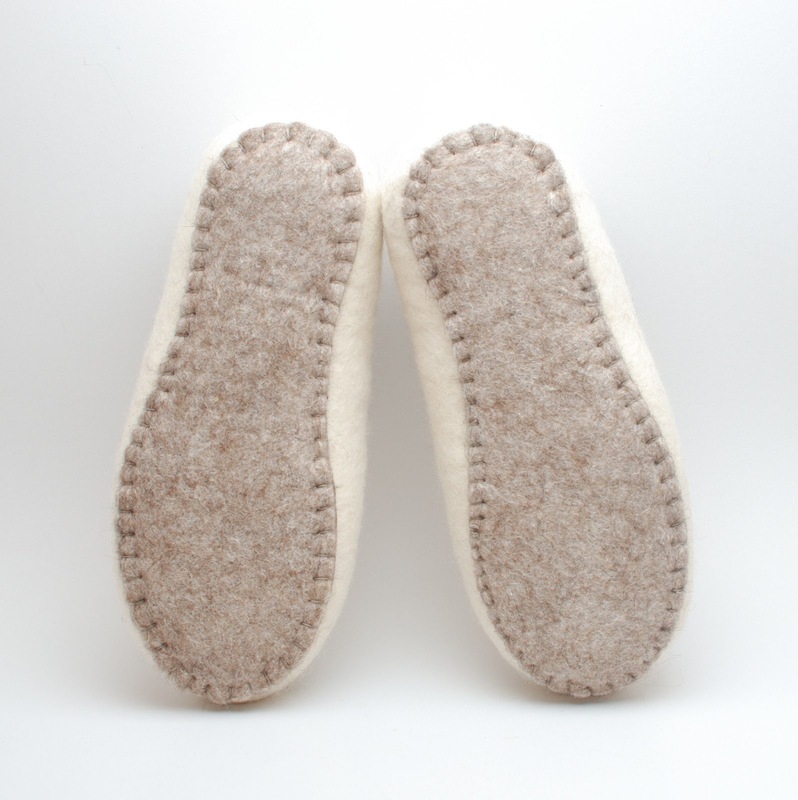 I think will use such soles for my clogs more frequently, just will add a patches of rubber in the area of toes and heel.